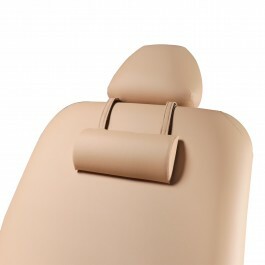 with a MC Beige PU upholstery, which is oil- and water-resistant! 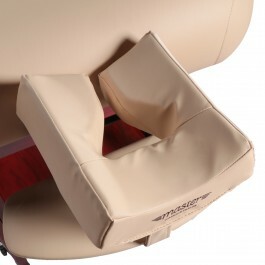 massage accessories. 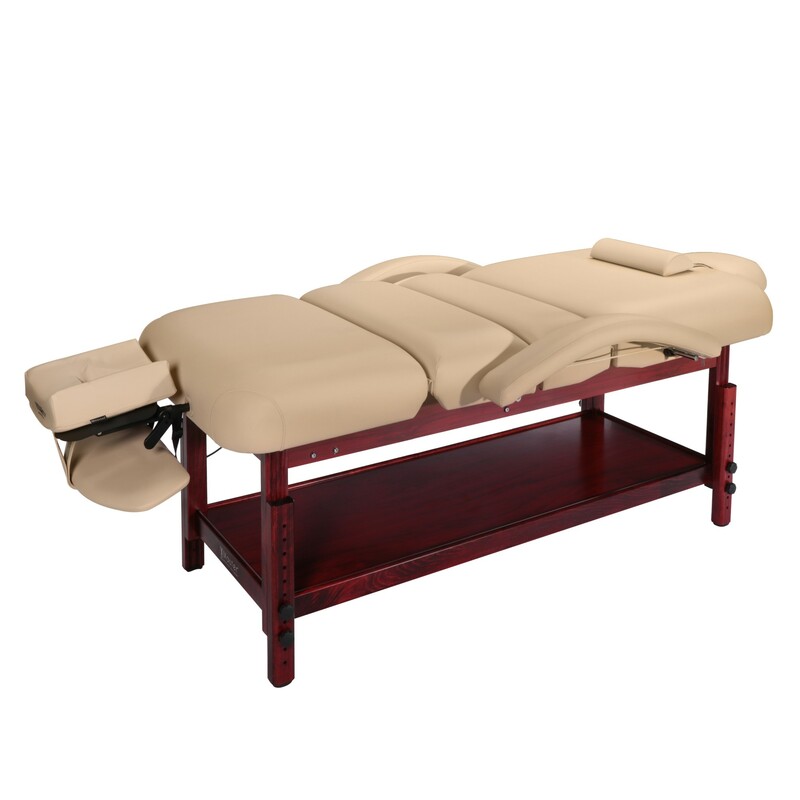 This stationary massage table is one of the finest products on the market. 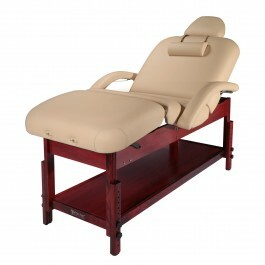 arm shelf, Detachable armrests, Plush neck bolster. 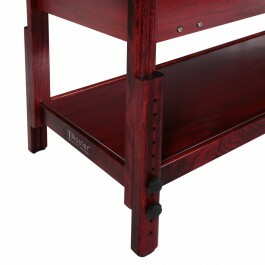 Constructed with super strong European Beech hardwood frame. 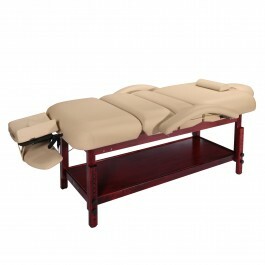 Max working capacity is 1000 lbs, can hold 4000 lbs. Pneumatic Gas-Spring Elevating Mechanism: Effortlessly and smoothly adjust the backrest and leg rest to position your customers in variety of therapeutic ways. 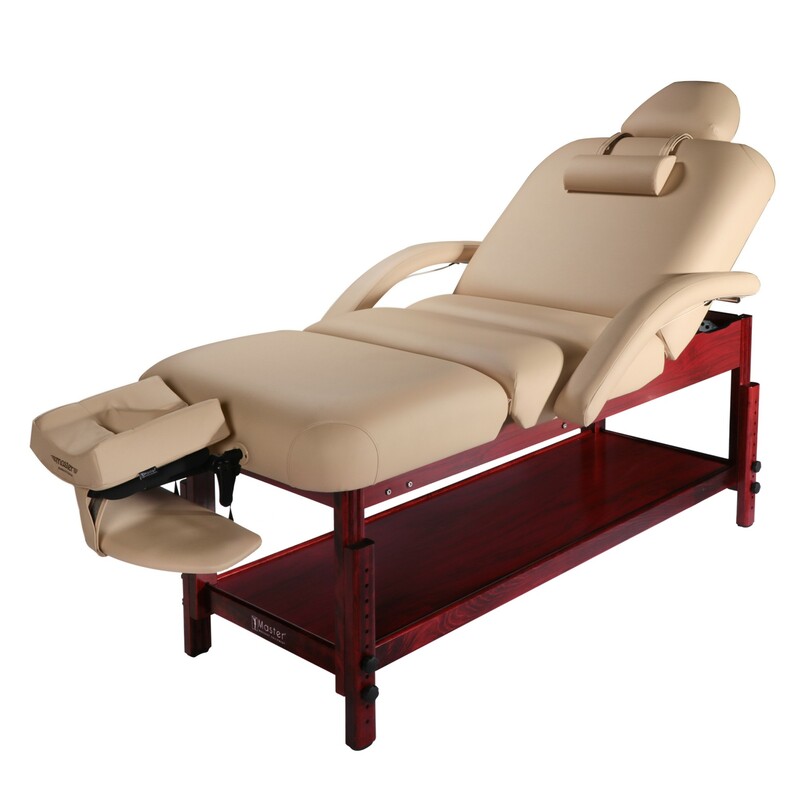 Luxurious PU Upholstery for Ultimate Comport: 3.5" thick cushion, which is oil- and water-resistant. ASTER Massage's Guarantee: 5 Years warranty for table construct, 5 Years warranty for vinyl upholstery and foam, 1 warranty Year for accessories.